The halls are decked, chestnuts are roasting, and kids are jingle-belling. In short, it’s beginning to look a lot like Christmas. Unfortunately, it’s beginning to feel like it, too. If you’re walking around your home singing “Baby, it’s cold inside,” we’re here to help! Let the sun work for you. Open your curtains during the day to let some sunshine—and warmth—in. Just be sure to close them at night. Check for leaks. To minimize heat loss, seal up any leaks around electrical outlets and switch plates, door and window frames, baseboards, weather stripping around doors, attic hatches, and vents and fans. Also check for drafts around pipes and wires, such as where your cable, telephone, gas, and electric lines enter your home. Finally, use caulk or weatherstripping around loose windows. If you can see sunlight around a window, cold air is seeping in. Cover drafty windows. If it seems weatherstripping just won’t cut it, cover your windows with clear, heavy-duty plastic. Be sure the seal is tight against the window frame. Set your thermostat to a reasonable temperature. Experts recommend setting your thermostat at 68o F in cold weather. Yes, we said 68o. Wear warm clothing to stay comfortable, and if you must bump up the heat, do so only one degree at a time. On average, every degree increase will increase your heating bill by 3%. Adjust your thermostat at night and when you’re away. Reduce your thermostat to 55o F when you’ll be away for several hours and to 65o F or so while you’re asleep. A programmable thermostat is a relatively inexpensive way to manage your heating bills. Note: Never turn your furnace off during the winter, or you’ll risk burst water pipes. Change your furnace filter. A clean furnace filter allows your furnace to run more efficiently, which will help keep your heating costs from rising. Consider installing a whole-house humidifier. Dry air feels colder, which will tempt you to bump up the thermostat. Insulate your attic. Once you’ve sealed any drafts in your attic, install a thick layer of insulation. Reverse your ceiling fans. In cold weather, ceiling fans should run clockwise at a low speed to draw cold air up and push warm air down. Rearrange the furniture. If any furniture is covering or blocking a heat vent, move it. Repurpose heat from the oven. While you should never use your oven as a primary heat source, it’s perfectly fine to leave the door cracked after that last batch of cookies. Wrap up in a blanket. This may sound silly, but it’s far less expensive to have a few fleece blankets available than it is to bump up your thermostat. Consider cuddling up with your best friend, too—human or canine. Maintain your furnace. One of the most cost-effective ways to keep your heating bills under control is to give your furnace some TLC every year. A qualified HVAC professional will thoroughly clean and inspect your unit to make sure it’ll keep you warm throughout the season. 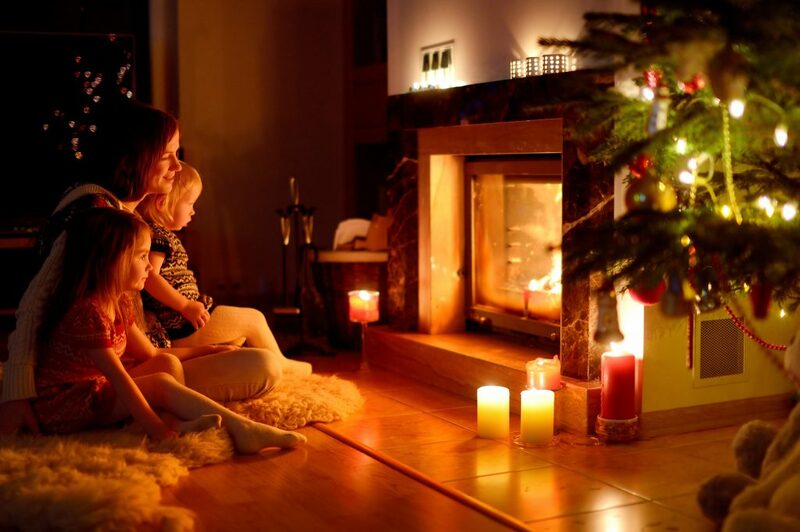 As your Santa Fe Heating experts, we’re happy to help you save money on your heating bills. Give us a call to schedule an inspection today.